Fall style is all about layering. It’s the perfect time of year for wearing outerwear that still lets you show off the clothes underneath – and you better take advantage of it, because as soon as winter hits, you’ll be bundled up for a while. Puffer vests are great for fall weather because they keep you warm without keeping you too warm, and they’re perfect layering pieces. 2. 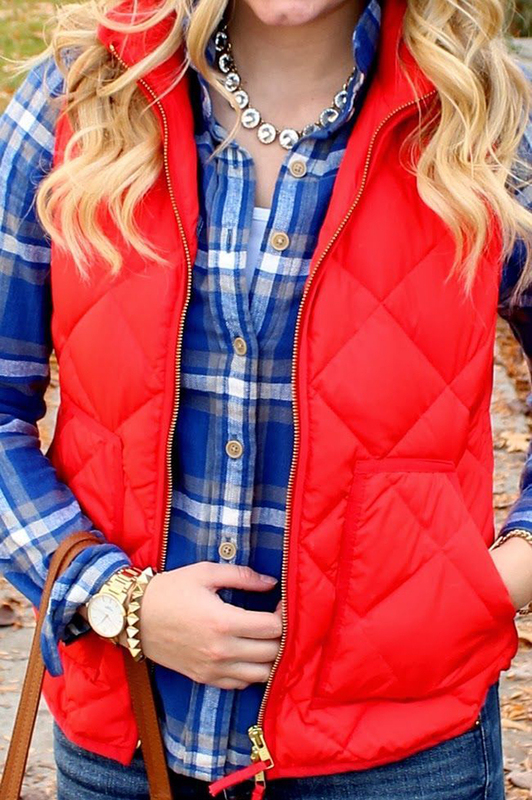 Or, if it’s extra chilly, layer a plaid shirt under a sweater and add a vest over the whole thing. Layering at it’s finest! 3. Add a scarf to your outfit to stay extra cozy. 4. Make things more interesting by mixing prints, like wearing a plaid vest over a striped shirt. 5. Give your puffer vest a chic makeover by belting it over a dress or skirt. 6. Opt for a sleek puffer vest that has a hood for extra cold weather. 7. 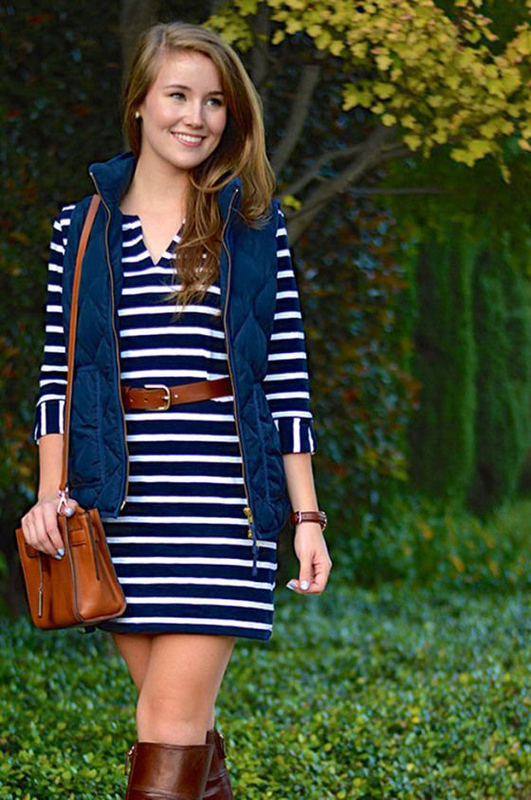 Make a dress work for fall weather by adding a vest and boots. 8. You can also make a skirt work for cool weather with a puffer vest and tights. 9. 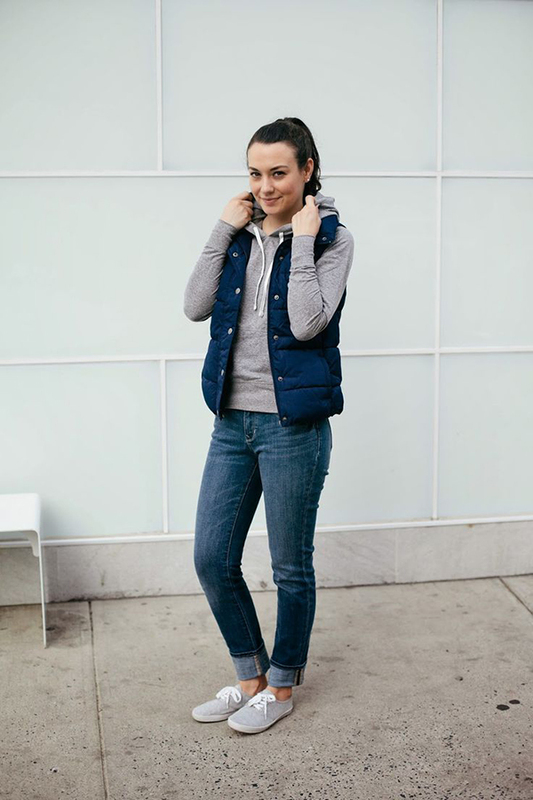 Stay comfy AND warm by wearing your puffer vest over a sweatshirt with jeans and sneakers. 10. 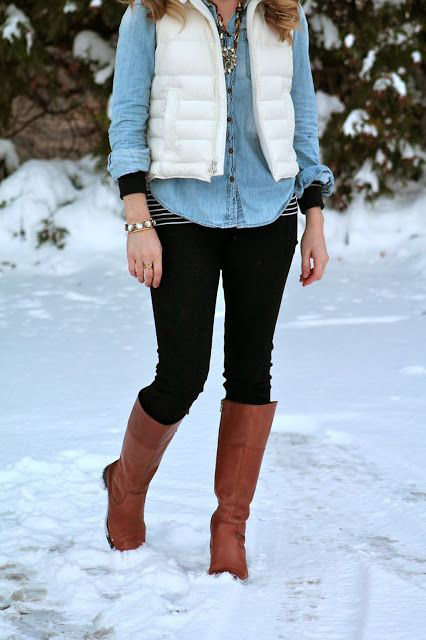 Use your puffer vest to dress down fancier items, like pretty shoes or a skirt. 11. Try belting your puffer vest while it’s open instead of zipped up for a more unique look. 12. 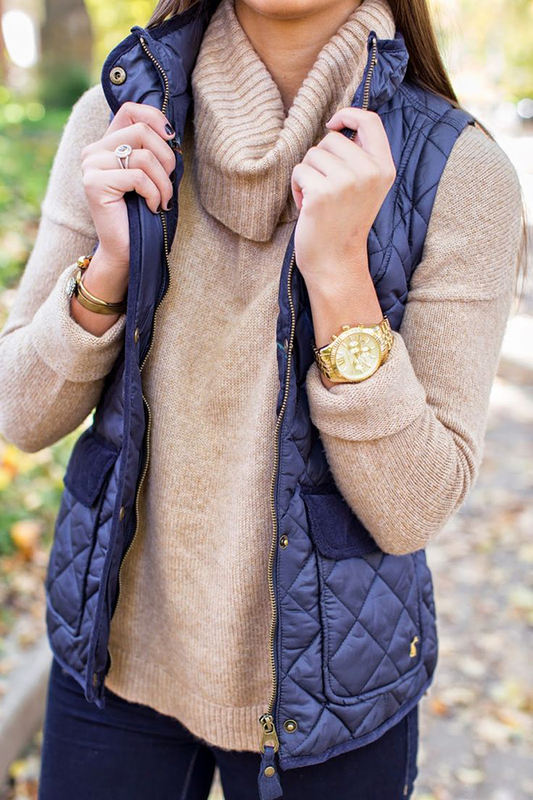 Wear your vest with a turtleneck or cowl neck sweater for extra warmth. 13. Don’t get rid of your puffer vest when it gets really cold – you can always layer it under a winter jacket. 14. You can even try doubling up on vests if they aren’t super puffy. 15. You can also layer your puffer vest OVER a light jacket. 16. 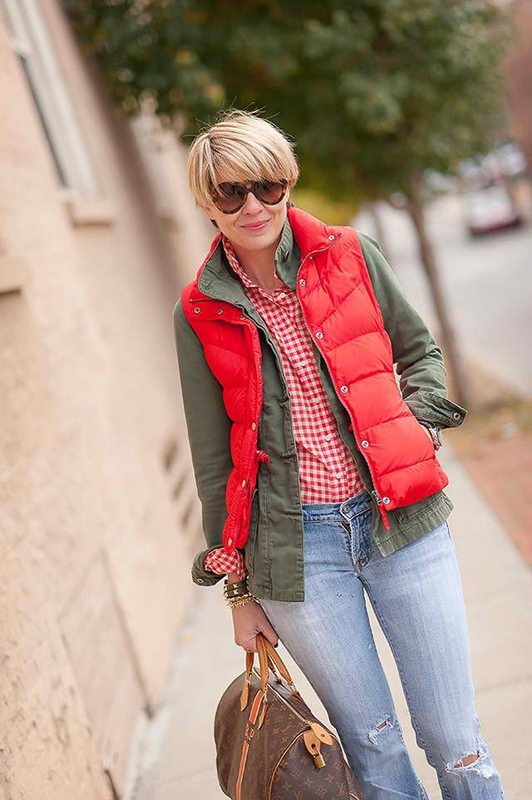 Puffer vests also look really cute over a chambray shirt. 17. 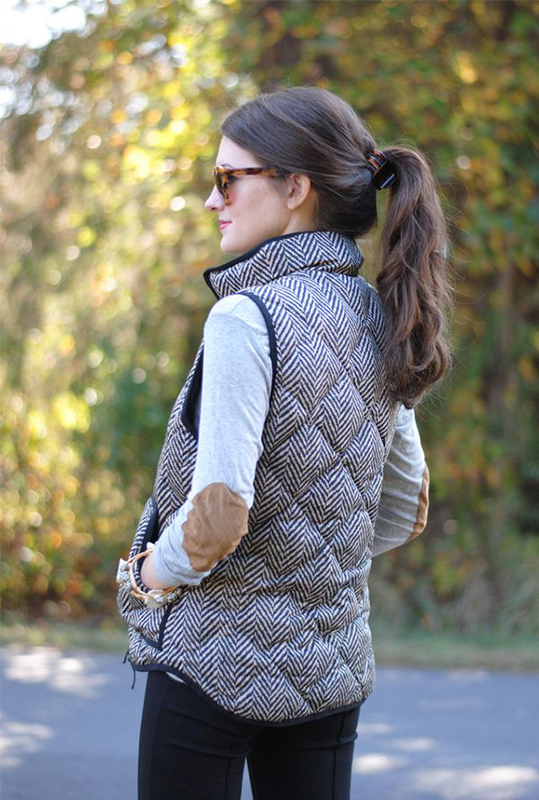 Wear your puffer vest whenever you have on a shirt with embellishments you want to show off, like elbow patches. 18. Puffer vests are great to throw over your workout clothes after the gym because they keep you warm without making you sweat even more. 19. 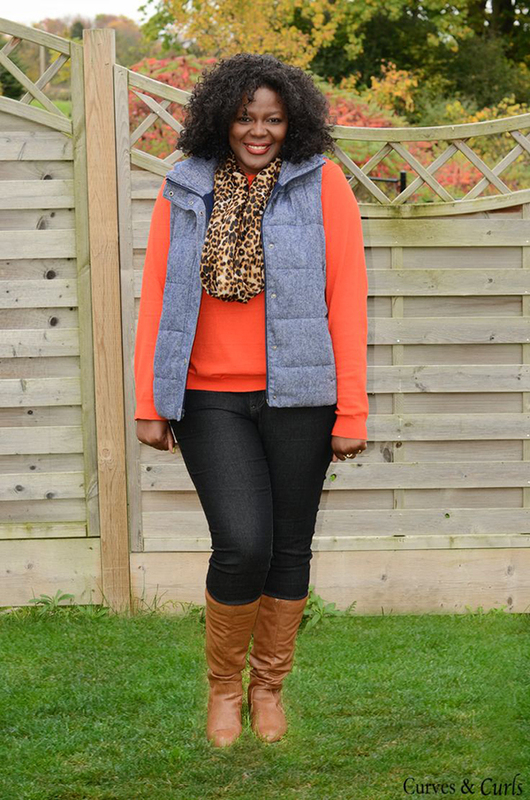 Wear your vest over a long sweater with leggings, rain boots, and a scarf.